Seawalls, no matter how well constructed, are subject to constant stress from wave action, tides, storms, water flow, weathering, and erosion. 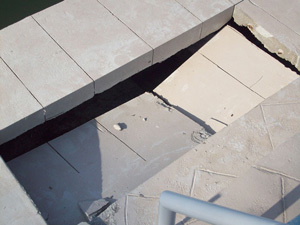 If your seawall or bulkhead is showing signs of failure, contact Saber Foundation Repair for an inspection. Replacing seawalls is an extremely expensive proposition, so Saber Foundation Repair has put its foundation wall repair expertise to work in stabilizing existing seawalls. The process is similar to the technique used to repair foundation walls and landlocked retaining walls. Helical anchors, also called tiebacks or earth screws, provide the lateral support to firmly secure the wall to the shore. Damaged Seawall. Don’t wait until erosion undermines your seawall. Saber Foundation Repair can stabilize your existing seawall. Holes are bored in the existing seawall to accommodate the required number of helical anchors. Helical tie-backs are then driven landward with high torque, such as a hydraulic drilling rig. Extension shafts, with or without helix plates, may be needed to allow the tie-back to reach competent, load-bearing soils. Then a strong beam is secured over the anchor rod at the seawall. Helical marine anchors may be used to repair masonry seawalls, steel sheet pile, boardwalks, boat docks, and bulkheads. Can be installed in any type of weather, and in confined areas. Reduce labor and equipment costs making them cost-effective. Install quickly and can be tensioned immediately. Length and bearing may be adjusted on site. May be installed at angles to avoid pools and other structures. Can be installed from either the land or seaside, minimizing disruption to docks, lawns, and gardens. The anchors are removable and extendable. If you’re looking for a fast, cost-effective, and minimally disruptive way to repair a seawall that shows signs of distress, contact Saber Foundation Repair for an inspection. 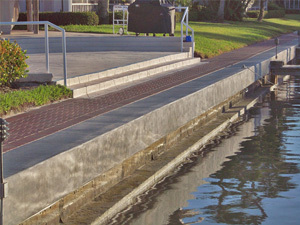 Seawall repairs using helical tie-back anchors can be made quickly and without excavation. 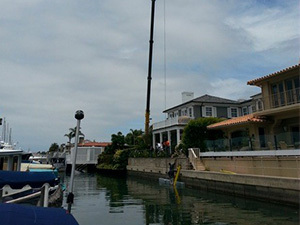 A large beam, being lowered into position, is secured to helical tie-back anchors to secure a stressed seawall. 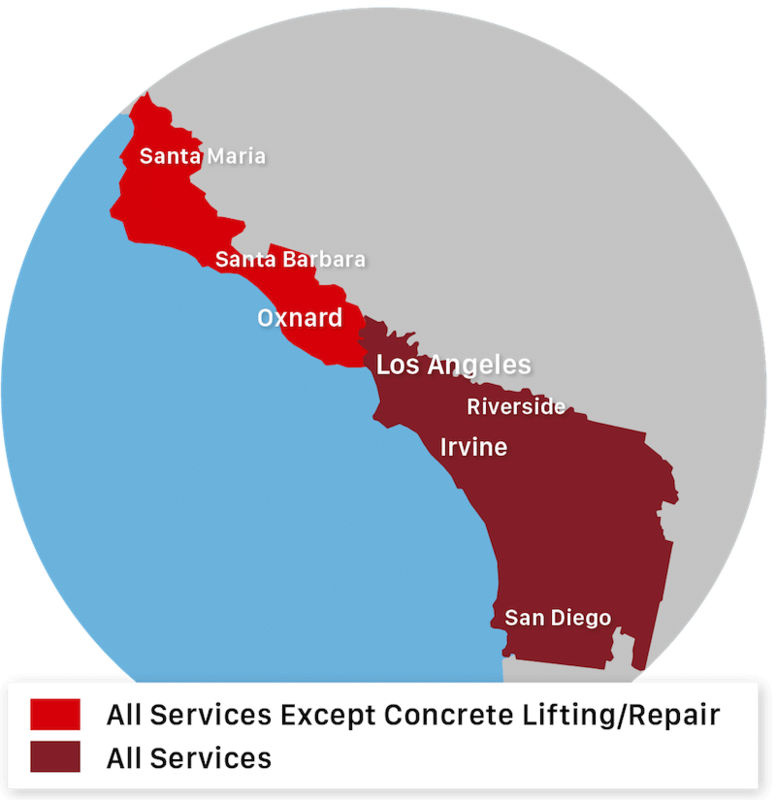 We provide our seawall repairs and bulkhead repair services to residents all throughout Los Angeles, Long Beach, San Diego, Santa Ana, Anaheim, Irvine, Glendale, Chula Vista, Huntington Beach, Oxnard and the nearby areas. Contact us today for a free estimate!